We present video, audio and parenting lessons designed in order to help give you tools so you can be a successful parent. I feel so confident in this program and I'm so invested in your success, that I want to give you a chance to try The ChildGood Academy Parenting Essentials Risk Free for 1 Month. If you fully participate in all of the videos, audios, and complete all of your homework and you don’t feel a dramatic shift in your life, then I will happily give you a full refund within 2 Months of your enrollment. All you have to do is e-mail in your completed work journal. That’s how dedicated I am to your transformation. The ChildGood Academy Parenting Essentials was designed for creative entreprenuers who are parents. Parents committed to master the art of parenting and the parenting of their art. 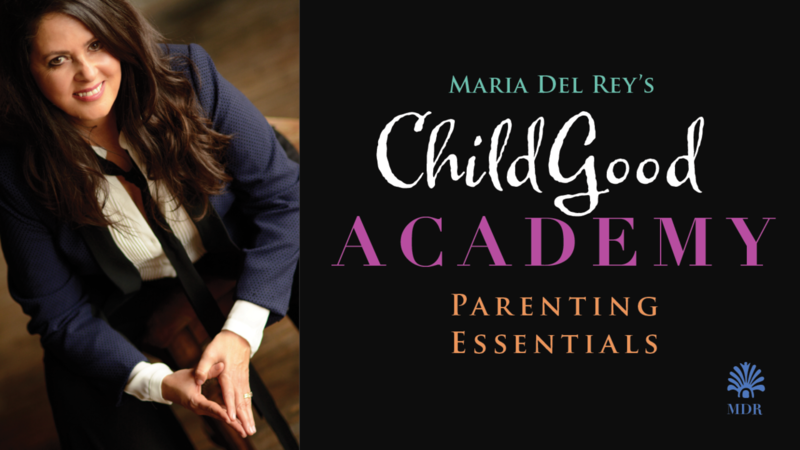 ChildGood Magazine publisher Maria Del Rey, inspires you with science, skills and important mindsets that are needed to gain healthy emotional growth for you and your family.